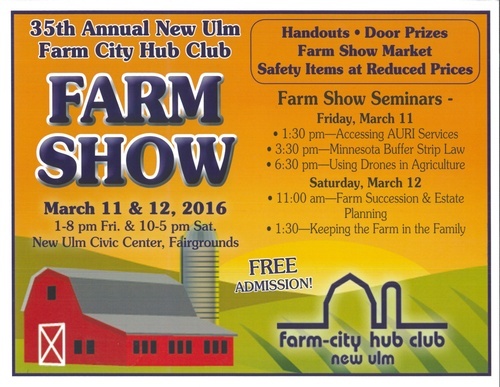 Join us as we celebrate our 35th Annual Farm-City Hub Club Farm Show on March 11 and 12, 2016! The Farm City Hub Club's Farm Show is the largest indoor farm show in south central Minnesota. We are looking forward to working with you in making this year's show another successful endeavor!